If you need help understanding the property licensing rules in Brent you have come to the right place! We are experts in housing regulation and have produced this free guide to help you understand the council's property licensing schemes. To help set the scene, the London Borough of Brent is in North London covering an area of 16 square miles. It is bordered by the boroughs of Ealing to the west, Barnet and Camden to the east, Harow to the north and with Hammersmith & Fullham, Kensington & Chelsea and Westminster to the south. According to the 2011 Census about 30% (1 in 3) of the housing stock was privately rented which is higher than the London average of 25% (1 in 4). There is a high chance you will need a licence to rent out your property in Brent although you need to study the arrangements carefully as some of the licensing schemes only apply to part of the borough. We will try to explain. On 1 January 2015, Brent Council implemented a borough wide additional licensing scheme together with a selective licensing scheme that only covers part of the borough. Both schemes operate for five years until 31 December 2019. A second selective licensing scheme started on 1 June 2018. You will need an additional licence if your property is let as a House in Multiple Occupation that does not fall within the remit of the mandatory HMO licensing scheme. So licensing applies to all HMOs in Brent. You will need a selective licence if your property (house or flat) is let out to a single person, couple or single household and is located in the council wards of Harlesden, Wembley Central or Willesden Green. On 1 June 2018, a second selective licensing scheme was introduced covering the council wards of Dudden Hill, Kensal Green, Kilburn, Mapesbury and Queen's Park. This adds another layer of complexity as most landlords won’t be familiar with the ward boundaries and neither will tenants or agents. If you think your property might be in one of these wards, you can check using the council’s My Location service. In summary, if you rent out a House in Multiple Occupation in Brent, it will need to be licensed. If you rent out a property to a single family, it will need to be licensed if it is in the council wards of Harlesden, Wembley Central, Willesden Green, Dudden Hill, Kensal Green, Kilburn, Mapesbury or Queen's Park. In Brent, it depends on the type of licence you are applying for. Unfortunately, the application fees went up quite a bit on 1 June 2018. For a mandatory HMO licence, Brent Council charge a standard fee of £840 (was £540 in 2017/18) for a three storey shared house with five single person lettings. If there are more lettings, the fee will be higher. There is an extra fee of £50 if you need help completing the forms. For an additional licence, Brent Council charge a standard fee of £840 (was £540 in 2017/18). For a selective licence there is a standard fee of £540 (was £340 in 2017/18) per property for a five-year licence. If the landlord fails to submit an application and the council find the property they will charge an extra £300. 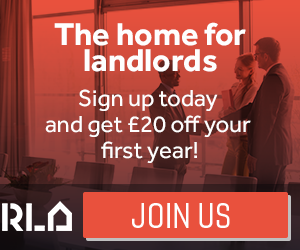 There is a £40 discount for accredited landlords. The fees we have listed were correct as of January 2019 but could be subject to change in the future. You can view the fees in full on the council’s website. Brent Council offers a fully integrated online application and payment system for mandatory HMO, additional and selective licensing! You can apply by visiting the council's website. Recently we have found the application system quite temperamental, with applications sometimes being deleted for no apparent reason. We have raised this with the council and hope they can fix the problem soon. Yes, the Brent HMO standards can be downloaded from the council’s website. The standards cover a range of issues such as kitchen, bathroom and toilet facilities, fire precautions, heating, lighting and ventilation. (i) Any room less than 6.5m² is not suitable for occupation. These standards only apply to HMOs licensed under the mandatory HMO and additional licensing schemes. They don’t apply to the selective licensing scheme. 3,295 selective licences (239 in Jan 2015). A further 1,500 licence applications had been received and were being processed by the council. So they won’t run out of work anytime soon! Brent Council keeps a public register of all licensed properties which is available on the council’s website. Once you click on the link, scroll to the ‘Property Licensing Register’ section at the bottom of the page. Yes, it would seem so. In January 2015, Brent Council told us they thought there were about 14,400 licensable HMOs plus a further 3,000 rented properties covered by the selective licensing scheme. Following the extension of the selective licensing scheme in June 2018, the council think that another 4,300 properties will need to be licensed. If you are a landlord or letting agent operating in Brent, it’s vital you make sure your properties are licensed before the council comes knocking on your door. Whilst Brent Council told us they did not take any housing prosecutions over three years between 1 April 2011 and 31 March 2014, things have certainly changed since then. Brent Council took seven housing prosecutions in 2014/15, ten housing prosecutions in 2015/16 and forty housing prosecutions in 2016/17, representing a huge increase compared to the previous three years. The council did not obtain any Rent Repayment Orders from the landlords of unlicensed HMOs over the four year period from April 2011 to March 2015. One Rent Repayment Order was obtained in 2015/16 – an unlicensed HMO landlord was ordered to repay over £7,000 of housing benefit to the council. Whilst we don’t have any figures for the NLA or RLA schemes, we have got information about the London Landlord Accreditation Scheme that is supported by all the London Boroughs. In January 2016, they told us there were 685 accredited landlords in Brent, which was the 4th highest out of all London boroughs. By January 2018, that figure had increased to 857 which is still in the top 10 when compared to all the London boroughs. To find out more about becoming accredited, you can visit the London Landlord Accreditation Scheme website here. Brent Council have already introduced borough wide additional licensing and two selective licensing schemes. The most recent scheme came into force on 1 June 2018. The consultation on the most recent scheme took place from September to December 2016 and the council received over 1,200 responses. You can read the consultation report by visiting the council’s website. On 19 June 2017, a report was presented to the council’s cabinet meeting recommending the implementation of six new selective licensing schemes covering a further 18 council wards (read here). The proposal was then sent to the Secretary of State who agreed the council could extend selective licensing to a further five wards. To keep up to date with all the latest changes, you can sign up to our free newsletter. In February 2016, we checked with Brent Council and were told they do not have an HMO Article 4 Direction in force. More information about Article 4 Directions is available on the council's website. Mandatory HMO & additional licensing schemes apply borough wide and two selective licensing schemes cover part of the borough.